My second novel - Shaw and Sullivan - The Mystery of Statis House is available to purchase now. My second novel in the Shaw and Sullivan series is now available for purchase. After receiving an invitation for a themed Christmas Party being held at the mysterious Statis House, Shaw and Sullivan begin to notice strange things are happening. Who are the three bald men upstairs who seem to have a keen interest in Sullivan? Why have a group of people from different walks of life been gathered together? And who are the mysterious housekeepers? As the snow begins to fall and people start to die, things quickly begin to spiral out of control and the mystery of Statis House is revealed. This book features the same main characters who were present in the previous novel, Shaw and Sullivan - The Dark Man of Greystone, which is still available for purchase on Amazon in both Kindle and paperback formats. 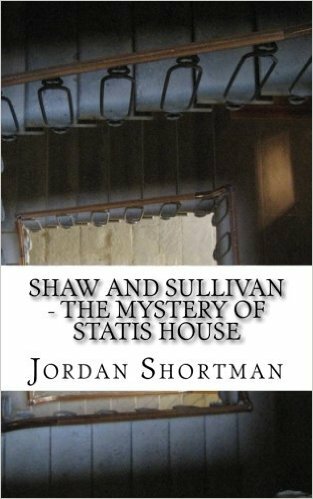 Shaw and Sullivan - The Mystery of Statis House is also available through Amazon on Kindle for £3.28 and in paperback for £11.13.